Recently I did a Professional Development where I introduced teachers to several of my favorite Web 2.0 tools to use. The tools can be used with students, can be used on a professional level individually, and others can be used in both ways. I decided to expand on that Professional Development by creating a "Tools for the 21st Century Teacher" Handbook. The idea was to provide a handbook that administrators could provide to new teachers in their building, teachers who are interested in integrating technology, and teachers who need a little extra guidance of the types of tools that are available to them and are scared to start integrating technology in their classroom. The document includes what I consider to be the top 15 tools, or the tools that I find myself using most often and suggesting other teachers use most often. I know that there are others that could be included in this list (Digital Story Telling, Image Websites, Video Websites, etc), but I felt that if I started to add too many the handbook would lose its purpose/focus. I hope that you find this handbook useful. Please feel free to share with staff, administrators, teachers, parents, and students even. Especially share with former students that you know of that are entering the education field. We need to get them started early. You can find "Tools for the 21st Century Teacher" at Issuu as well as see it embedded below. I have also added a new Publications page where I will publish any handbooks I create in the future. 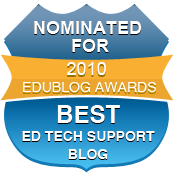 This is a very useful resource for teachers who want to get into web 2.0. Issuu is a good way to make it available but many of your readers would appreciate it very much if you could also offer your handbook as a downloadable PDF. Michael, this is an excellent publication - thanks so much for creating and sharing it. Tomorrow I'm doing another Techie Breakie and I will be showing this to our teachers here in Switzerland. Many of the tools you show here are ones I've tried to encourage our primary teachers to use here, though you also included some that are new to me. I'm keen to try them out! Thanks for the great comments. Damian I made the document available for download now through Issuu. When you visit the site, you will see a download option. You can then save it as a PDF. Thank you so much for creating this excellent publication! I am hoping to inspire my staff to explore it, by featuring it in my own (rather newbie!) 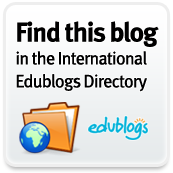 Edublog. Your downloadable PDF is very handy. Perfect! That's what i was looking for, a complete piece of information where i get to know the most basic but most usefull tools of the 21st Century. Things have become certainly very easy with the advent of these technology.